Fourth of July is an eventful and exciting time: picnics, cookouts, family and friends coming and going, fireworks and a lot of loud NOISES. With so many different activities happening, are you wondering how you’re going to help your child cope with all the excitement of the day? The best and most important tip I can share with you is to give your child comfort, not matter what age he or she is. You can’t possibly over do it, and bad habits can’t be created in just one night. Fireworks and loud noises can startle and overwhelm children, especially infants, toddlers and some preschoolers. Much of your child’s reaction to the day’s festivities will be determined by his or her temperament, so it’s important to remember that each child will behave differently. Be on the lookout for signs of overwhelm and take a few minutes to comfort and reassure your little one everything is okay. 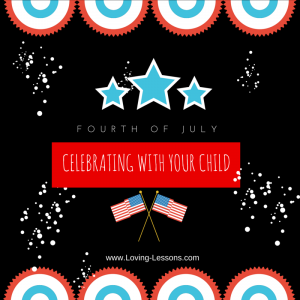 For example, if you’re watching fireworks and your infant or toddler is asleep in the stroller, you may choose to hold him during the presentation instead since he will respond much better in a loving person’s arms if he’s woken up by the loud noises. If he is startled awake, keep in mind logical thinking emerges between the ages of 2 and 3, so using words such as “You’re okay. There’s nothing to be afraid of,” without the personal connection of being held will more often than not be futile and frustrating for you both. Feel free to love on your little one since after all he won’t stay little forever anyway. You can also help your older toddler prepare for the sights and sounds by talking to her before you get to the festivities. Let her know what she can expect by referencing time in relationship to her favorite video or the picnic as a play date or the same amount of time she would normally be in school. Communicating in your child’s “language” is a powerful tool of comfort and also helps develop your child’s reasoning skills in the process. Another key point to remember too is that fireworks start after most kids’ normal bedtimes, so there’s a good chance they will be extra excited, tired or overwhelmed by what‘s going on around them. Be patient with your little one and yourself, and get kiddos right to bed as soon as the show is over. 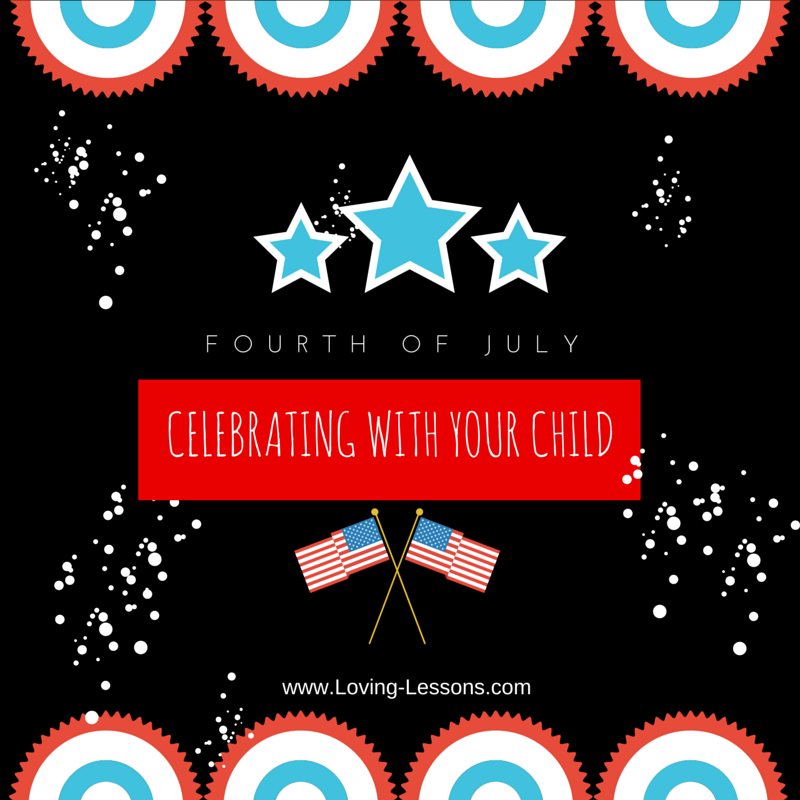 These are just a few ways to help you relax and enjoy your family and friends this Fourth of July and also help your kids learn coping skills for the years of celebrations they have to look forward to. Once the festivities of the day are over, however, you’ll be able to get back to your regularly scheduled bedtime and routines. This entry was posted in #MomsMatter, Baby, Preschool, Toddler, Uncategorized. Bookmark the permalink.